Missouri child support laws can be confusing and depending on your situation, very frustrating. This guide provides clear-cut, simple to understand information on many common child support situations and laws in Missouri. Missouri child support laws can be confusing and depending on your situation, very frustrating. Speaking with an experienced family law attorney can be the key to a successful outcome. Alimony, payments, custody agreements and everything else is likely new territory for you, but it’s something our firm deals with every day. Let us help you navigate the system and get the best results possible for your future. Determining a monthly child support payment is complicated and no two cases are alike. Missouri has a Schedule of Basic Child Support Obligations they use to calculate payments based on the parent’s income (i.e. salary, annuities, social security, unemployment, and so on). The minimum payment is $50 per month and for each additional $50 the parent earns, the child support payment increases. For each additional child, the payment will increase as well. More more information on child support payments, visit our practice areas page or learn about Divorce Cost in Missouri. Child support is covered under Missouri Revised Statutes Chapter 452 and enforced by Chapter 454. Here is a brief look at important information regarding child support in Missouri. Both parents are responsible for supporting the child’s needs. Using the Schedule of Basic Child Support Obligations and the parent’s gross income. What expenses might a parent be required to pay? The child support is for food, housing, clothing, transportation, and health care. Sometimes, the non-custodial parent will be required to pay for daycare, extracurricular activities, and private school expenses. How long is a parent required to pay child support? In Missouri, child support is paid until the child reaches the age of eighteen or twenty-one, graduates from college or attends college less than full-time, enters active military duty, or marries. If an adult child is disabled, child support may continue. If you have questions about when your child support payments may end, a family law attorney can look at your circumstances and help you understand. Get Help Today with your Missouri Child Support Law Questions. Masterson Law is here to help. With years of experience in all aspects of family law, our team can hit the ground running to help you and your family. Why are child support payments made in the first place? It is assumed that the custodial parent, or the one who cares for the child most of the time, already spends money on the child. So, the non-custodial parent will provide supplemental support for the child and the custodial parent will receive the payments. Payment is based on Form No. 14 Child Support Amount Calculation Worksheet. It looks at the individual income of each parent as well as their combined income, if the parent is already paying support for another child, and the number of children each has custody of that resides in their home. Once the form is completed, the custodial parent will receive an estimated payment that can be increased or decreased by the court. No payments will be made until an order is issued by a judge. In certain circumstances like a job loss, a judge can adjust the child support payment. How do I make my child support payments? If you pay child support, you may mail payments (check or money order) to the Family Support Payment Center. Also, payments can be made online or automatically withdrawn from a checking or savings account. How do I get my child support payments? Direct payment from the non-custodial parent. Payment made to the Family Support Payment Center so there is a record of payments in case that information is necessary for court. Wage withholding on the parent’s paycheck. Parents can choose what works best for them and are encouraged to get advice from an experienced family law attorney. The Missouri Child Support Process Can Be Hard. You don’t have to go through it alone. We’re here to help! Call Masterson Law about your divorce in Missouri today. The number of children they have. The number of overnight stays the child has with the non-custodial parent. Other costs paid for by the non-custodial parent, like daycare and health insurance. Form No. 14 establishes a “presumed amount of child support” and the judge determines if the amount is reasonable based on the parties’ circumstances and may adjust it accordingly. The three factors that go into calculating an accurate child support calculation are income, basic child support amount, and additional child-rearing costs. Once a child support order is issued, it can only be adjusted when circumstances would cause the support to increase or decrease by 20%. Stay up-to-date with information from our blog, as we continue to publish helpful insights about divorce and family law. Using a Missouri Child Support Calculator Can Be Confusing. Save the headaches and let our team of expert help you. From a small advisory role to your ally along the way, we’re here to help in your time of need. In the event the financial status of one or both parents change due to job change or loss, lottery winnings, or remarriage, the original child support order can be modified. The modified order will still follow Missouri’s Child Support Guidelines and use Form No. 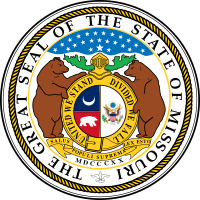 14, and it must be determined by the court, even if the original order came from The Missouri Family Support Division (FSD). The parents’ resources and the non-custodial parent’s needs. The standard of living the child would have if the parents’ marriage had not dissolved. The physical and emotional needs of the child. Physical and legal custody arrangements. The childcare expenses of each parent. If you are going through divorce or child custody discussions, contact an attorney to help you determine how child support orders may work in your situation. Have an Attorney do the Child Support Modification For You. One of the most compelling benefits of hiring a family lawyer like Summer Masterson-Goethals is that they will take care of all hassle of paperwork and filing on your behalf. They’ve done this before many times and know how the system works. The Missouri Department of Social Services handles child support related issues through Child Support Enforcement (CSE). They can enforce child support orders by withholding income, reporting delinquent payors to the credit bureau, intercepting tax refunds, placing liens on personal property, and requesting Contempt of Court or criminal Non-Support charges be brought up against the non-custodial parent. If you have questions about the status of a child support payment, the CSE website has a portal where you can confirm payment status. Can I have child support payments automatically withdrawn from my bank account if I am under an Income Withholding Order? Yes. Your Income Withholding Order status will remain, though. How long will it take CSE to receive my payment once it is withdrawn from my account? You will receive a payment confirmation email the same day. What happens after I register an account and establish a payment schedule? Your bank account information must be verified. Once it’s verified, your payments will be withdrawn as scheduled. If the verification is unsuccessful, you will receive an email and no payment will be processed. What if I don’t have sufficient funds to cover a child support payment? You must cancel your scheduled payment at least two days prior to withdraw. Your Questions about Missouri Child Support Laws Answered. Masterson Law is a consumer and family law firm in Springfield, Missouri with years of experience successfully helping individuals make their way through divorces. Child support agreements can be completed without the help of an attorney, but there are numerous benefits to consulting with one during your agreements are finalized. Attorneys have done it all before and can expedite all part of the process to get you on to your next phase of life as soon as possible. In Missouri, child support ends when the child support order is terminated by the court or the FSD. In special cases, such as if the child is disabled or a full-time college student, support may be required past the age of eighteen. The FSD will send the custodial parent a Notice of Intent to Stop Collection of Current Support (CS-697) ninety days before the child’s eighteenth birthday. If the child meets requirements to receive support after they turn eighteen, the custodial parent must return the CS–697 form. If it is not returned, FSD stops collection of current suport for the child on their eighteenth birthday. However, the non-custodial parent may still be obligated to pay support in some circumstances. A child support obligation may only be terminated by an order, an Affidavit for Termination of Child Support, or the child turning twenty-one years old. An experienced family law attorney can offer assistance with any of these forms or documents and help with any other child support related questions. Understand Missouri Child Support Laws. Masterson Law in Springfield, Missouri is a divorce and family law practice covering all of Southwest Missouri. The firm provides families and individuals with high-quality legal representation at a reasonable rate and is known for their responsive, client-centered approach. Summer Masterson-Goethals is an academically published writer for the Missouri Bar, a Springfield Business Journal Top 40 Under 40 winner, continuing legal education speaker and can help you with your divorce in Missouri.